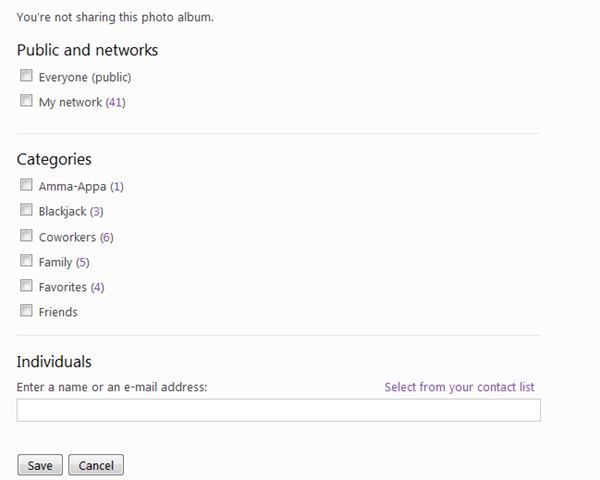 After you upload the photos onto Windows Live, scroll down and find the “Shared With": option. Click on “Just Me” and Click “Edit Permissions” . This process is fairly straightforward. When users receive the link they click on it, login with Windows Live credentials and can view the album. However What do you do, when you want to share these Windows Live albums with users who dont have Windows Live accounts ? 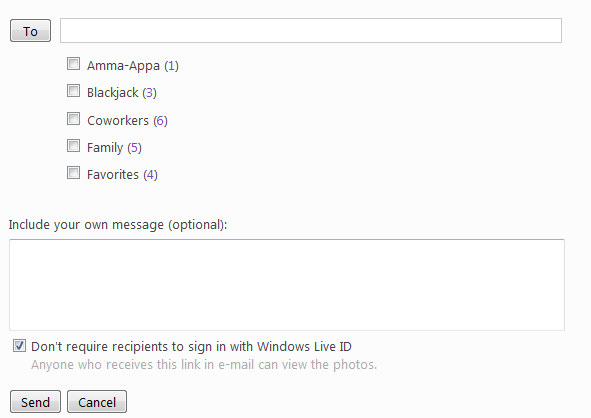 Now add your recipient email addresses and make sure the option to “Not require Sign in” is selected. Users can now view the photos using the link they receive in the email. Ideally this check box should have been part of the previous screen where we added Windows Live users. Hopefully a future release will address this inconsistency. It is great news that UAC is no longer required! I blogged here about not being able to install Live Mesh on Windows Server 2008, which I am running as my main workstation. MsftGuy has a solution for this issue. Basically you run the LiveMesh.exe from the command line with the -force argument. I will be installing the software tonight and will post my initial impressions.